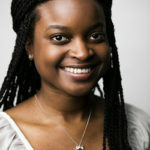 Ashley McBride is a web & digital media manager and contributing writer for Fan First. She enjoys writing about social issues and underrepresented groups. Ashley worked for The Stand Newspaper in Syracuse and also interned with syracuse.com and the Syracuse Post-Standard. She currently works as a digital media intern at the Palm Beach Post in West Palm Beach, Florida. Her favorite teams are her hometown teams, the Tampa Bay Buccaneers, Tampa Bay Rays, and Tampa Bay Lightning, and the team of her undergraduate alma mater, the Miami Hurricanes!